John D. Newkirk has been a resident of the Upstate of South Carolina for the majority of his life. He attended public schools in Greenville County, and is a proud graduate of Riverside High School. After graduating from Riverside High School, John attended the University of New Mexico where he earned a bachelors degree in political science. After graduating from the University of New Mexico, John returned home to South Carolina where he graduated from the University of South Carolina School of Law. 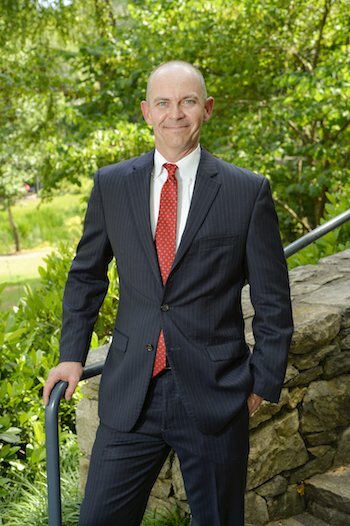 John D. Newkirk has practiced law in Greenville County for over 15 years. After graduating from law school, John D. Newkirk served as a prosecutor for the Thirteenth Circuit Solicitor’s Office in Greenville County. As a prosecutor, John D. Newkirk handled thousands of criminal cases, ranging from DUI cases, to large scale drug cases, to reckless homicide cases, to murder cases. During his tenure as a prosecutor, John D. Newkirk was assigned to both the traffic unit and the drug unit. As a member of the traffic unit, John D. Newkirk was responsible for prosecuting all types of traffic offenses, including DUI, Reckless Homicide, Driving Under Suspension, and Habitual Traffic Offender charges. As a member of the drug unit, John D. Newkirk was responsible for prosecuting all types of drug cases, including possession, possession with the intent to distribute, distribution, manufacturing, and trafficking. The drug cases John D. Newkirk prosecuted stemmed from traffic stops, undercover drug buys, and search warrants. Within the drug unit, John D. Newkirk was specifically assigned to prosecute clandestine methamphetamine labs. John D. Newkirk has also taught other prosecutors how to prosecute drug cases. John D. Newkirk left the Thirteenth Circuit Solicitor’s Office in 2007 to pursue his dream of opening up his own law practice. The primary focus of his law practice is criminal defense law, divorce and family law, and personal injury law. John has handled hundreds of DUI cases, criminal cases, and Family Court cases throughout the Upstate of South Carolina. John D. Newkirk has co-authored a book, published by the South Carolina Bar Association, dealing with litigating drug cases in criminal court. 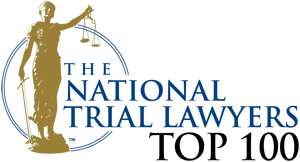 John D. Newkirk is a member of the South Carolina Bar Association, the National College of DUI Defense, The National Trial Lawyers, the Greenville County Bar Association, the South Carolina Association of Criminal Defense Lawyers and the Greenville County Association of Criminal Defense Lawyers. John D. Newkirk is admitted to practice in all courts in South Carolina and is admitted to practice in the United States District Court. John D. Newkirk lives in Greer, South Carolina, with his wife Sandy. When not in the courtroom, John spends his time mountain biking, hiking, and fishing in the mountains of Upstate South Carolina and Western North Carolina. Follow John on Instragram @Newkirklaw and like him on Facebook at John D. Newkirk, Attorney at Law, LLC. John D. Newkirk has over 15 years of experience practicing throughout the Upstate, including: Greenville, Spartanburg, Pickens, Laurens, Anderson, and Greenwood counties. To suit your needs, we offer appointments at both our Greer and Greenville locations.